I was lying in bed last night waiting for sleep to arrive and take me off to my usual really weird and vivid dreams, when my iPhone chirped and showed me that I had a new email. It said I had a message waiting on facebook, so I clicked the link and had a quick look. It was from an old school friend of mine. Someone who I was really fond of and used to be good friends with. I haven’t heard from her in over 20 years, so it was a great surprise to read her message. I wanted to share it with you all, because after I read it, I just thought how fab it would be if all healthcare managers held her point of view and had her obvious passion for what she does. It’s been a long time eh?!!! I just wanted to share something with you. I work for the NHS too but in a (shhhh) management role … I’ve been reading your blog tonight and it has made me so very very proud. You’re part of the reason I do what I do. I do the easy bit, I commission services and make sure all the finances are in place but you do the hard bit. I could never do your job – but I hope that I share your commitment and compassion. I hope you don’t mind but I’ve shared your blog with a couple of friends on the management side. I’m hoping it’ll keep us focussed!! 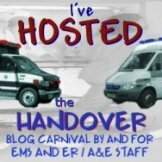 So my friend, since you are now reading this blog anyway, from all the paramedics/EMTs/Firefighters who read this blog (and I know there are quite a few), we all thank you.